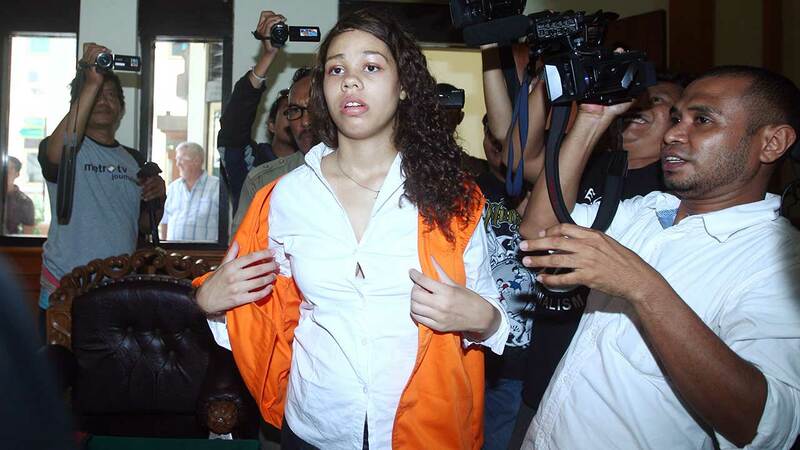 CHICAGO (WLS) -- A guardian appointed by the court to represent the interests of Heather Mack's baby Stella says the child should be transferred out of the inmate's Indonesian cell. Mack was convicted along with her boyfriend Tommy Schaefer of killing her mother, Sheila von Wiese-Mack, in while on vacation in Bali. Her body was found in a suitcase. Mack was pregnant at the time of the murder and gave birth to her daughter, Stella, while on trial. She was sentenced to 10 years in an Indonesian prison and is appealing her conviction. The court heard an update from baby Stella's Guardian ad Litem, Peter Schmiedel, who said the 7-month-old is in good health and has received all her vaccinations. But he also said it is a critical time to transfer her to a safe place, as Stella is still living with her mother in a cell that is shared with at least four pregnant women and one other woman with a 1-year-old. Motions for more than $200,000 in attorney fees by the attorneys who represented Heather Mack during her criminal trial were denied by a judge Monday at the same hearing. The status of Mack's trust fund has been in flux since she was charged with her mother's murder. On Monday, a judge denied Mack's request for more trust money as the courts determine whether Mack is subject to the Illinois Slayer Statute, which says a person who intentionally causes the death of another person cannot receive property as a result of that person's death. Attorneys are waiting on written clarification of her actual criminal conviction to determine how it will be interpreted under the statute. Mack's trust fund is currently overseen by von Wiese-Mack's brother, William von Wiese. The judge gave trust attorneys 90 days regarding the Slayer Statute Petition to obtain further documentation, including third-party subpoenas in Indonesia. The next status hearing will be held on Feb. 3, 2016.